Reproductive health supplies are dwindling in Nigeria, with family-planning funds provided by the United States having been revoked two years ago in accordance with Trump’s gag-rule. This revocation of funds was catalyzed by the Trump administration’s accusations that the United Nations Population Fund was facilitating coercive abortions and sterilization- accusations which turned out to be entirely unfounded. Regardless, Nigeria, a country with one of the world’s highest rates of maternal mortality, subsequently lost more than half of its family planning funds within one year, bringing about devastating impacts upon contraceptive accessibility and efforts to address gender-based violence. 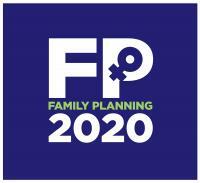 FP2020 is a family planning initiative launched in 2012 with the goals of improving accessibility to family planning services and commodities, slowing the rate of population growth, and empowering the agency of women within decisions having to do with their bodies and health. However, without U.S. Funding, FP2020 has seen Nigerian health services deteriorate. And yet, despite the gag rule, studies have shown that abortion rates have increased in the sub-Saharan African countries most affected by the loss of funding, with rates remaining relatively static in countries less reliant upon U.S. funding. Such vulnerability to US policy has revealed that such critical national health policies must exist independently of donor funds.